Keeping your crawlspace dry is essential to preventing long-term decay of structural members. Drain tubes designed to remove water from areas known to gather water must be kept clear of debris and at the proper angle to facilitate drainage. 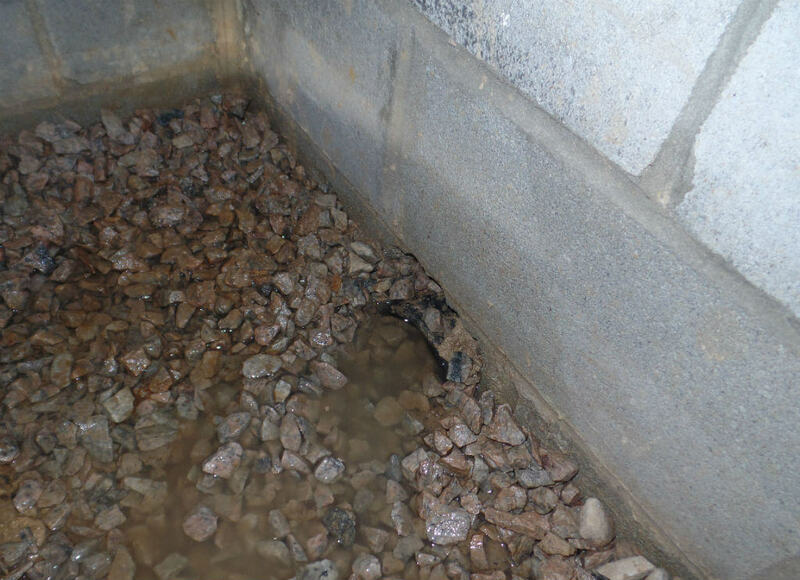 This drain tube from a crawlspace to the outside was not draining properly and should be evaluated and repaired by a licensed general contractor.